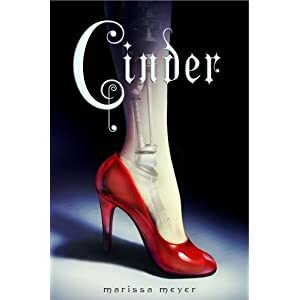 This week, my teaser comes from Cinder by Marissa Meyer. Cinder is amazing, and I hope you enjoy this teaser as much as I do! Oooh...I've been wondering how this book is...can't wait for the review! My Teaser from Wish Upon A Star! I have been dying to read this book! That teaser makes me want to read it even more! Thanks for sharing, and I hope you enjoy Cinder! Keep wondering about this one. Looks good. Thanks. This looks so amazing! I love twists on classic stories, and this doesn't look like it will disappoint! Thanks for the teaser!